GEA Farm Technologies Sales Consultants help dairy producers in the following areas of animal hygiene and care: mastitis control and udder health, and animal comfort. They work with your veterinarian and your milkers to improve and maintain the good health of your animals and provide a wide range of tools and products for this. At RSL Engineering we've built our reputation on first class service and innovative design. We don't intend to re-invent the wheel just to try and maximise efficiency and productivity of our customers machines and needs coupled with speedy, punctual delivery of top-quality goods to our clients. By RSL Engineering based in Aldenham, UNITED KINGDOM. Opico is a leader in the export of U.S. agricultural equipment and has forged strong relationships with dealers across the globe. Our staff travels extensively to work with distributors and to keep current with local farming practices and conditions. As a result, Opico's knowledge of global agriculture is the best in the industry. By OPICO based in Mobile, ALABAMA (USA). Precision farming practices can quickly create a vast amount of data on farm, and utilising this information is key to making the most of your equipment and technologies. 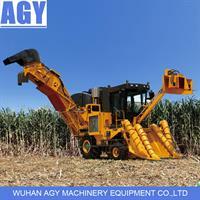 By Wuhan AGY machinery equipment Co.,Ltd based in CHINA. 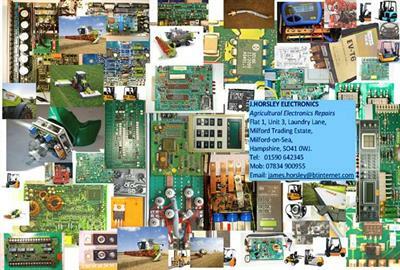 Farm Electronics are pleased to be associated with J. Horsley Electronics. They undertakes electronic PCB assembly work to a very high standard for ourselves. He also offers this very useful service which may provide a very cost effective alternative to replacing with new, faulty PCB's on agricultural machinery. By Farm Electronics Limited based in Lincolnshire, UNITED KINGDOM. By Agrex S.p.A. based in Villafranca Padovana (PD) IT, ITALY. Uniparts Group is the Largest Producer of 3-Point Linkage Systems for agricultural machinery globally. Products portfolio includes 3- Point Linkage System, Fabrications and Assemblies, Machined Components, Forgings and Castings. By Uniparts Group based in INDIA. By Panelli s.r.l. based in Spinetta M.go (Alessandria), ITALY. Andros has operated a facility on the mainland for over 30 years. In 2011 Matt Andros opened a small facility in Kekaha, Hawaii, on the island of Kauai. By Andros Engineering Corp. based in Paso Robles, CALIFORNIA (USA). By GMP Metal Products based in Louis, MISSOURI (USA). By Inter-Fluve, Inc. based in Hood River, OREGON (USA). We have a large list of components available for all leading brands of agricultural, construction, railway and industrial machinery. Case, Caterpillar, Fendt, Ford , J.C.B., John Deere, Massey Fergusson, Valmet are just some of our branded components. By Aardvark Equipment Ltd. based in Suffolk, UNITED KINGDOM.